These end of summer sensory bins or sensory tubs are suited perfectly for babies, toddlers and preschoolers. If you’re looking for fun toddler summer activities in this last month of heat, then this collection of summer sensory bins is just what you need. Use these last short moments of summer sensory play and to get outside and enjoy the sunshine. This post also gives us some key points to keep in mind for the activities. 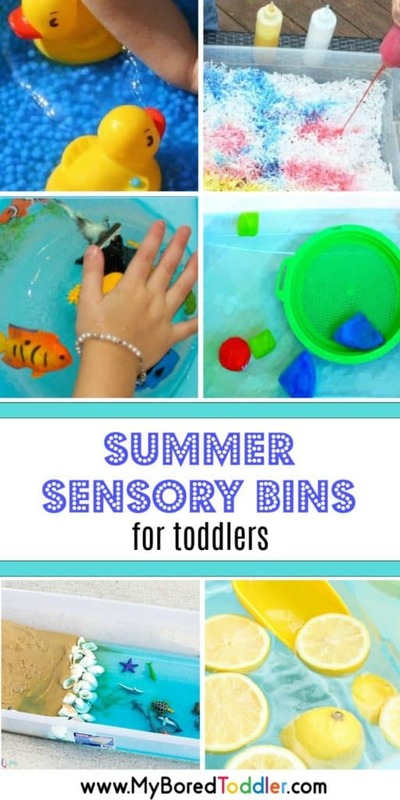 Check out these summer sensory bins for toddlers, babies and preschoolers shared by My Bored Toddler.